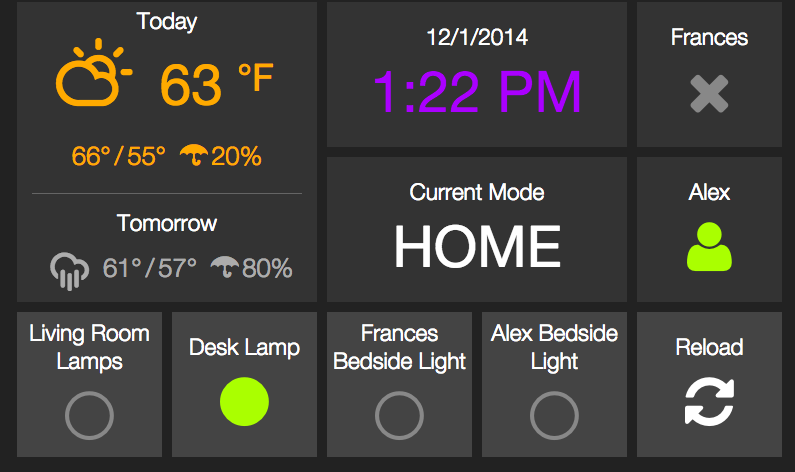 Installed HADashboard to go with my smartthings hub. Really easy. Not added everything yet (this was just a test to see if it was plausible). Gonna get the house talking to me, soon. The circles are switches as well as indicators of state.